Journey of a Rodent: Why Some Areas Have More Rats – Pesterminate Inc.
As the warmer days slip away, winter starts to crawl into everyday life, inviting with it the rodent population. They scurry into your home and/or business to seek out the heavenly smells of food, whilst also seeking a warm, dry environment to inhabit. Carrying diseases and bacteria, these four-legged creatures can contaminate surface areas around your property, bringing with them potential risks to your health. Rodents have several characteristics that put them at the top of the list of unwanted guests. Rodents are avid explorers. They have a natural love for new terrains, cords, pipes and false floors. These spaces are considered a mice highway, providing a direct line to your electrical wires, computer networks, and other warm, dry spaces to set up their nests. Mice and rats will scurry along searching high and low for food. Within a 24 hour period rodents can find up to 40 feeding places! Rodents are focused on reproducing. A female mouse can produce a litter of up to 16 mice monthly. This means if you have a family of mice living in your walls, they are constantly reproducing and expanding their infestation. Rodents have a very flexible skeleton structure. 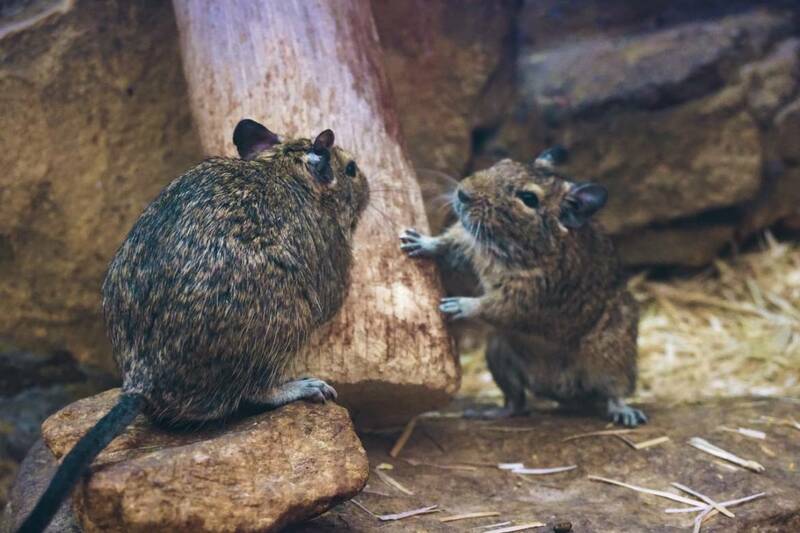 A mouse can squeeze through a hole the size of your pinky finger, while a rat is able to squeeze through a hole the size of your thumb. They are also agile and can jump up to 24 cm in height! With mice travelling up to 1 km a day in search of food and a suitable nesting area. With tiny little legs, this is a vast distance. During a rodent’s journey, they leave a trail of droppings, with an average of 80 droppings produced in a day. This is a key indicator that you have a rodent infestation. These gnawing little vermin are adaptable to most environments and can easily move in the dark. They also only need up to 3g of food a day, not a lot for a creature always on the move. Droppings: A trail of droppings is a clear sign. Check your home and/or office cupboards and kitchen areas – these provide a great source of food for rodents. Rub Marks: These are dirty marks left behind when the rodents rub against a hard surface. Tracks: A quick trick to spot track marks is to place some powder on the floor in the kitchen overnight, close to the edges of bench/cupboards. If you find little footprints in the morning then you know you have unwanted guests. Smell: Rodents leave a trail of urine which leaves a very distinct and unwanted smell. Teeth Marks: They love to gnaw on hard things and will gnaw to gain access to food.